Our New Zealand team are busier than ever with the addition of our new Business Manager, Sally Coleman and the recent delivery of Nokia Wellington. Having worked with their team on multiple design projects across Australia in the past this was an exciting opportunity! Read more here. Amicus has a dedicated service and delivery team based in New Zealand who are on a mission to positively influence as many New Zealand workers as possible. Our expansion to deliver workspaces in New Zealand began 10 years ago with Flight Centre and continues today across all commercial industry sectors. Many of our employees are New Zealanders, so it made perfect sense to continue to grow our Kiwi clients for life! A new additional to our team is our New Zealand Business Manager, Sally Coleman. Having worked on and led a wide range of commercial fit-out projects within the design and construction industry, Sally has strong knowledge of a project’s full life cycle from pitch to handover, including an understanding of the importance of establishing and delivering design and cost responsibilities to benefit the project. Along with establishing and maintaining strong client relationships, Sally is also experienced in FF&E procurement and solutions and has an aptitude for workplace design. Sally pulls on the diverse experience gained across her sales and project management roles in both New Zealand and the United Kingdom. Having previously worked in retail – for over seven years – in London Sally was given the opportunity to get into Project Management, where she found a passion and specialization in furniture procurement and workplace strategy. We are excited to have Sally join us and look forward to her leading our New Zealand team! 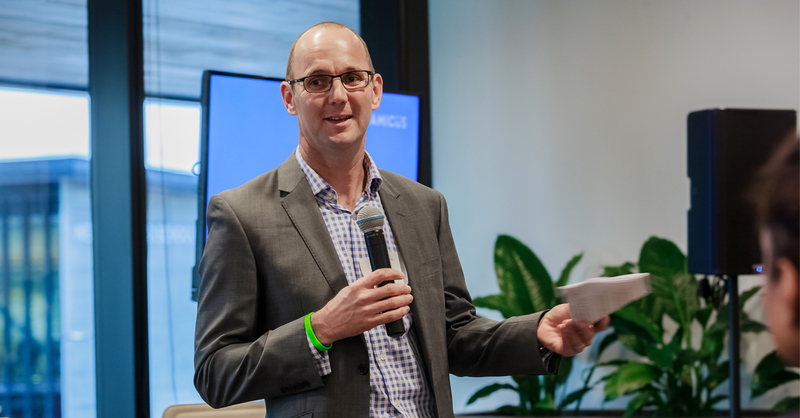 In association with Regus, Auckland Airport and CoreNet Global, Amicus hosted a fantastic event at the Quad 7, showcasing the recently completed Regus, Qantas, Aer Rianta International and Panasonic workspaces. The event was a great opportunity to showcase what we have done to the property community in Auckland, hear about the latest trends in coworking and meet an assortment of property professionals. The Regus Auckland Airport flexible workplace is 800 metres from the international terminal in the Quad 7 building. It’s a brand new facility with 39 offices, 134 workstations, and two conference rooms across 1000 square metres of floor space. IWG New Zealand country manager Pierre Ferrandon says the time was right to expand Regus to Auckland Airport, as part of what he calls a ‘workplace revolution’. 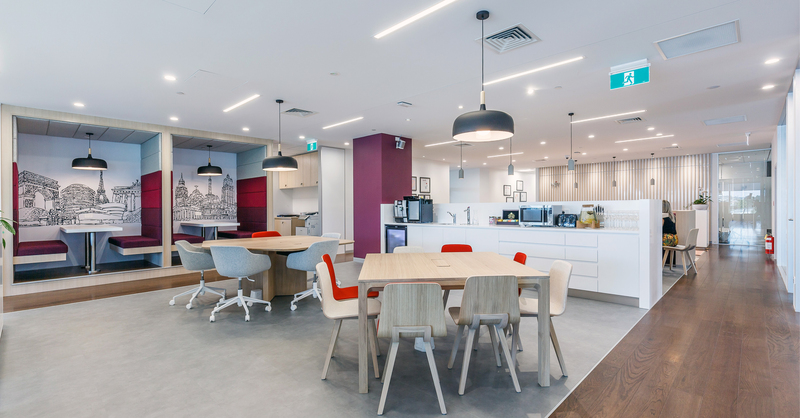 Having worked with Regus on 6 projects previously through Australia and New Zealand, we were excited to be on board with this expansion. Having worked with Nokia and their team on multiple design projects across Australia we were keen to partner with them in New Zealand. Amicus strives to learn and grow from every project we deliver and our experiences with Nokia in the past has helped us to adapt and improve our processes along the way. We have shared in many great successes together in the past and were proud to deliver this project in late November. 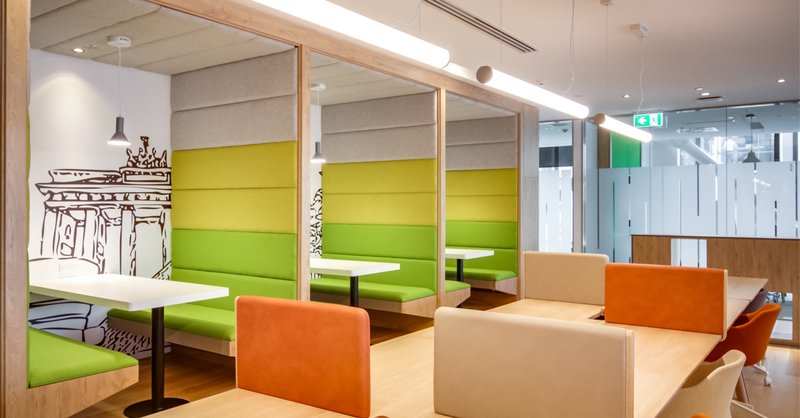 The final product consisted of a paired back design, town hall, two full floors consisting of furniture and carpeted finishes including booths, meeting rooms, utilities areas and collaboration zones. Utilising existing subcontractor relationships ensured quick turnaround, favourable lead times and improved budget management through better rates received due to volume of work. 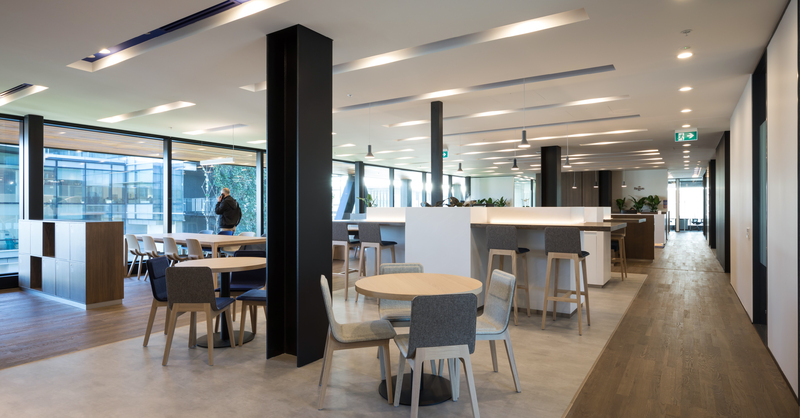 To combat the busy local supplier market, joinery and doors were sourced from Auckland and furniture and flooring were provided by large national suppliers from Christchurch. This single project has brought together the best of everything in one location – public transport, international quality retail, public spaces and hospitality environments, as well as striking urban design. As Regus is expanding its international network of business centres, this world class commercial space was an obvious choice. Amicus partnering with Auckland based architect, Marchese & Partners, have provided a solution to support Regus’s growth in Auckland. 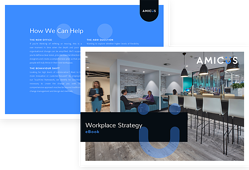 With products including office space, coworking and meeting rooms, Amicus working together with Regus have provided shared office space to connect a vast network of clients, through both physical and virtual platforms. With Regus expanding its Auckland reach from the city centre to the city’s fringes, Amicus continued its relationship with Regus to deliver their new serviced office space at Auckland Airport. 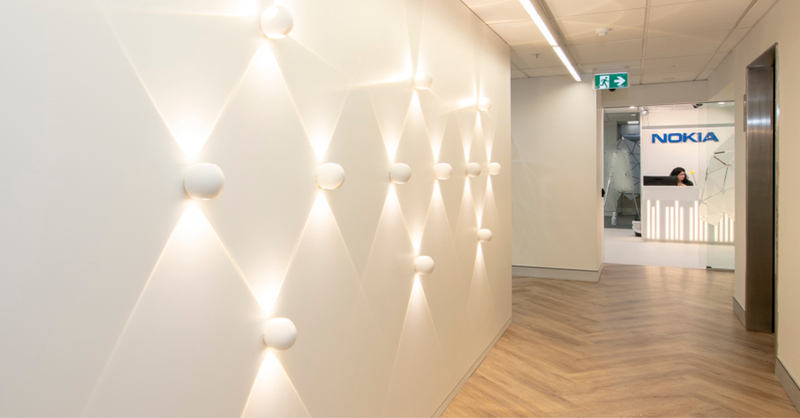 Selecting a whole level in Auckland Airport’s premium business hub building, the Quad 7, Regus were able to expand their network of offices closer to their internationally travelling clients. Amicus partnering with designer Marchese & Partners worked with Regus to create a new, higher spec serviced office space that reflected their new award-winning building location. A mixture of hotdesks, collaboration areas and small to large private offices, allows Regus to keep up with the growing demand of flexible working environments. 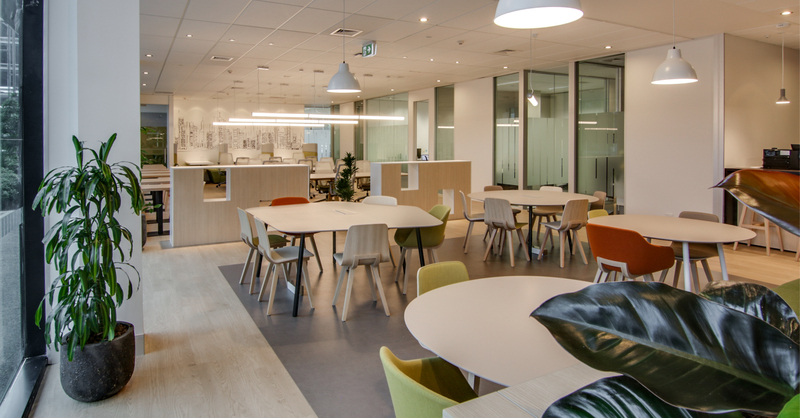 The new site not only provides Regus’ international premium clients a convenient touchdown location when travelling to Auckland, it also provides Auckland companies the ability to have a local workspace for their South Auckland employees. With Auckland’s increased demand for city office space pushing up lease prices, Regus’ serviced offices can help their clients reduce their CBD footprint and establish themselves in a well-connected, dynamic and social hub. The new premium co-working and hot desk space is now open for business for workers and business travellers, of New Zealand’s largest and busiest airport. 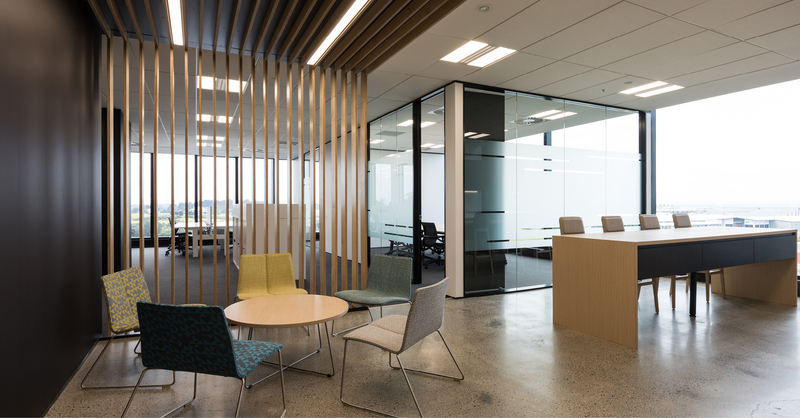 Regus Auckland Airport occupies a 1,000-square metre space in the state-of-the-art Quad 7 building, just 800 metres from the international terminal and close to train and bus stations and public car parking. In the heart of Auckland Airport, this glossy Regus property boasts elegant, modern design and connections to bus, train and air networks. Amicus were engaged to deliver a full speculative office fitout for Auckland Airport to lease to future tenants. The office design were aimed at executive companies with clients who visit the Airport and the vicinity. The design included modern finishes such as polished concrete, timber wall panelling and feature lighting. 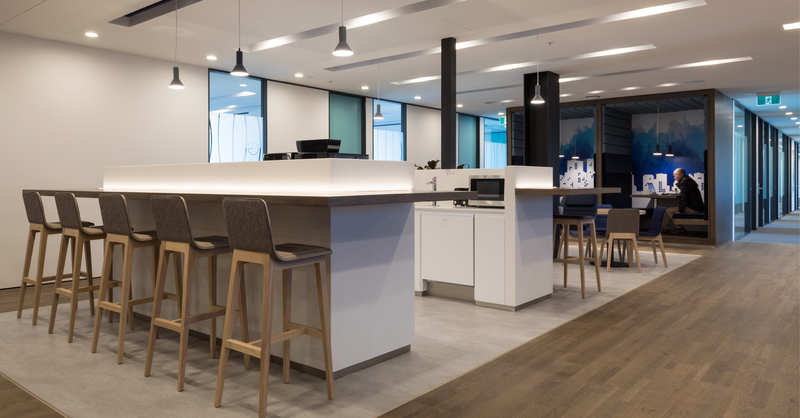 Amicus and design partner Marchese Partners were able to fluidly adjust the delivery requirements according to the new individual fitout scopes. 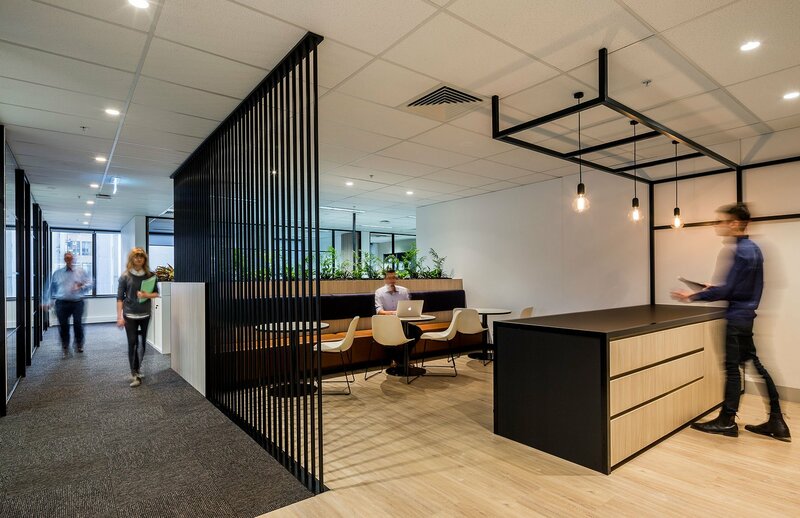 The office design was adjusted to the new tenant’s requirements, while still maintaining the original design themes of the spec fitout concepts. Savvy Christchurch businesses can join the worldwide trend towards flexible working spaces with the opening of Regus’ second venue in the city at the end of February. Located on Durham Street, the new space in the Awly Building joins Hazeldean Road in Addington, which opened in January 2018. Office space isn’t the only thing that makes a great workplace, of course; car parking, bike racks, showers, monthly networking events, 24/7 access and kitchen facilities are all provided. Add an excellent hospitality package, and the flex appeal’s apparent. The new Awly Building site also comes complete with fabulous courtyard, onsite café Curious Palate, famed national chain Hikari Sushi Bar, and good karma – it’s Christchurch’s only 5-star green rated building (as well as one of the safest in New Zealand, with three seismic stabilising factors).